Dr. DeCubellis remains heavily involved in the New Port Richey and Trinity Communities where the DeCubellis family has lived for over 100 years. He is a member of the Florida Chiropractic Association, the International Chiropractic Association, the American Chiropractic Association, and the West Pasco Chamber of Commerce. He and his wife Danielle are newlyweds and have an Olde English Bulldog named Tank, and a Chihuahua named Julio. 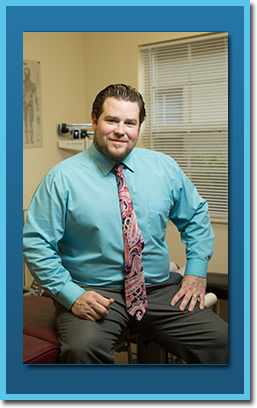 Dr. DeCubellis is proud of the way his work is helping people who need chiropractic care in Trinity and New Port Richey, FL. He hopes everyone can experience the relief that chiropractic can offer by visiting our wellness center.